Summer is well under way, travel seems to be on everyone's mind. To help our readers find the best place to visit this summer, we asked our friends at Skyscanner to shortlist five great holiday destinations that were less then five hours away from the UAE. With the backdrop of the snow-capped Tian Shan mountains, Almaty is one of the most charming Russian creations in Central Asia. You can spend your entire day hiking in the wilderness and still make it back for dinner and drinks in Almaty’s city centre. For hiking, head to Lake Almaty or take a city bus to the world’s highest ice skating rink in Medeu, where several great hiking trails begin. If you love shopping, head to the Green Bazaar, which sells literally everything under the sun. Tip: Just 25 kilometres from the city lies the Shymbulak ski resort. You can take the cable cars up to escape the city for mountain views and lunch at one of Shymbulak’s popular cafes. Colombo is the country’s prime cultural and commercial hub and offers a fantastic range of things to do. Culture lovers should jump at the chance to explore some of Sri Lanka’s finest temples and historic sites including the unique Gangaramaya Temple, a mixture of ancient and modern architecture. Galle Face Green Promenade is one of the most beautiful spots in the city to watch the sunset and gaze over the Indian Ocean. If you’re interested in exploring Sri Lanka’s heritage, be sure to check out the National Museum of Colombo and The Dutch Period Museum. Tip: Treat yourself to an Ayurveda treatment, a common health practice in Sri Lanka. It's a great way to rejuvenate the mind, body and soul. Istanbul is a feast for the senses and a great place to visit for an exciting, culture-filled break. No trip to Istanbul is complete without a visit to the stunning Hagia Sophia. Often referred to as the eighth wonder of the world, the impressive structure was built as a Christian Church before being converted into a Mosque. It now serves as a museum. A stone’s throw away from the Hagia Sophia is the Blue Mosque (officially the Sultan Ahmed Mosque), which gets its name from the 20,000 16th century blue-coloured tiles that adorn its interior walls. Other top spots include the Grand Bazaar market, the banks of the Bosphorus, the Basilica Cistern and the Hippodrome of Constantinople, an ancient chariot race circuit. Tip: Buffets are the cheapest and quickest way to sample some of the many culinary delights that Turkey has to offer. Yerevan offers many stunning examples of architecture such as the Opera House, various historical sites and much more for modern travellers. Many of the city’s finest sites are located around the city centre, where you can immerse yourself in the local architecture and find plenty of cafés and restaurants. There are a host of festivals and cultural events over the course of the year and during summer you can attend the Ecotourism Festival (16-17 June). Yerevan is known for its many beautiful parks and green spaces such as the Lovers’ Park where you can escape the buzz of the city. Head to one of the many museums to understand the history of the city, or check out some of the local art at the National Art Gallery. Tip: Be sure to bring comfy shoes as everything is in waking distance of each other. Azerbaijan’s capital, dubbed by the Lonely Planet as “the architectural love child of Paris and Dubai”, is one of the fastest changing cities in the world. 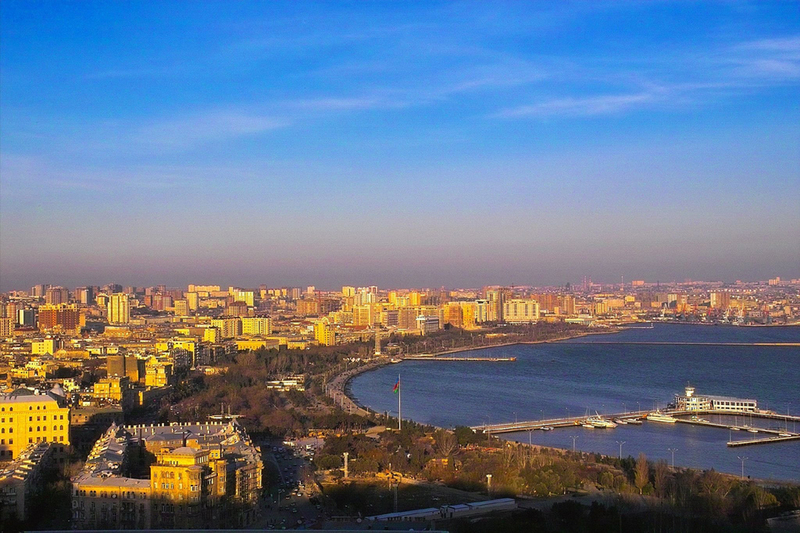 Take a stroll on the Boulevard, which stretches along the shore of the Caspian Sea. You can really get a feel for the city and for its people as you wander around, and there are plenty of cafés to stop at and grab a coffee. A visit to the Old Town is a must; it dates back to the sixth century and is a World Heritage site. Spend the day wandering along its cobbled alleyways, pop into one of its tea houses and sample some Azerbaijani cuisine. Tip: Don’t miss a trip to the Heydar Aliyev Cultural Centre, a sight deliberately built without straight lines. It is mesmerising from every angle. Note: These prices were available on www.skyscanner.ae on June 3 using the ‘search everywhere’ tool. Prices are subject to availability. Prices based on a single adult economy return ticket.